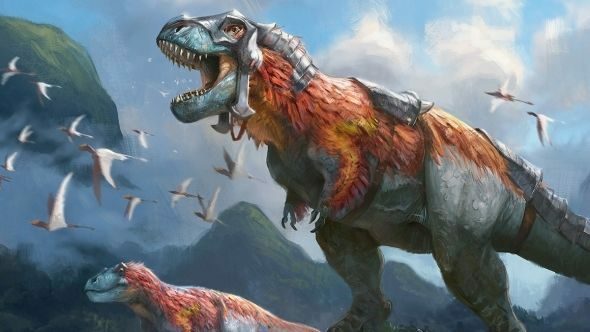 The next Magic: The Gathering PC game is Magic: The Gathering Arena, and the developers have now gone into some detail on the game’s progression system, and how you’ll be getting cards and booster packs through the beta. What is Magic: The Gathering Arena, you ask? It’s the next Magic: The Gathering PC game, and here’s how it’s adapting the tabletop game to your screens. Detailed in a blog post by Chris Clay, it deviates from the formula set by Hearthstone for PC card games. First up, there’s five ways to get cards. Booster packs will be eight-card boosters containing 5 commons, 2 uncommons, and 1 rare or mythic rare. Individual cards will also be earnable through play. In the beta, the developers are testing a system where for every match win, players will receive one card in Magic: The Gathering Arena, up to 30 per day. Wildcards are special cards that have a chance to appear in the place of each card at any rarity in every booster you open. Wildcards have their own rarity of common, uncommon, rare, and mythic rare. You can redeem a Wildcard one-to-one for a card at that same rarity – it’s best to consider these as vouchers for certain rarities, and the way for players to get a specific card. The Vault is an as-yet undecided system that, currently, awards a number of Wildcards. The only way to open the Vault is to open boosters, which award you progress to opening the Vault. On top of that, if you get five of one card in your collection, further copies of that card will add to your progress in opening the Vault. This is all being tested in the closed beta and so is very much subject to change. There’s also systems in place to front-load your rewards (such as giving you the biggest rewards for your first win of the day, to reward casual players) and to count up weekly wins for further rewards, if you play a lot. Given the size of Magic: The Gathering expansions, it makes sense for the game to be giving out more cards than Hearthstone players would expect. You can, of course, also buy packs with real money (using gems) but that system isn’t in the closed beta yet, and all real-money purchases will be refunded to your account if you do buy gems later in the beta when scheduled account wipes occur. This system is being tested from today, with the Rivals of Ixalan update, just without real-money purchases being available yet.